Susanne Maria Michaelis is a postdoc in the ERC-funded research project Grammatical Universals at Leipzig University. 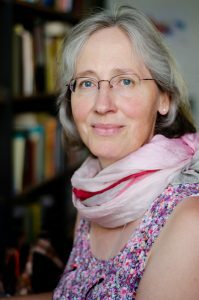 She studied linguistics and Romance Philology in Bonn, Poitiers, and Freiburg/Br., and received her Ph.D. degree from the Albert-Ludwigs-Universität Freiburg. Her research interests in linguistics are primarily in comparative studies of pidgin and creole languages against the background of the world-wide variation of languages. Susanne Maria Michaelis is one of the four editors of the Atlas of Pidgin and Creole Language Structures (APiCS, OUP 2013). Her special expertise is Seychelles Creole, a French-based creole of the Indian Ocean (Temps et aspect en créole seychellois, 1993; Komplexe Syntax im Seychellen-Kreol 1994). She is also editor of Roots of creole structures (Benjamins, 2008) and co-editor of Contact Languages: Critical concepts in linguistics (Routledge, 2008). She has also been working on sign languages together with Ulrike Zeshan (International Institute for Sign Languages and Deaf Studies).